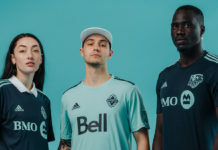 To celebrate the connection between music and the beautiful game, adidas and COLORS Studios connected for a series of football kit-infused performances that stick to COLORS’ formula for success. Rising stars Gunna, J.I.D., Not3s, and Lefa all performed some of their most popular tracks while donning an adidas jersey. We take a look at each, ranking every artist’s performance as well as their kit. Music has been woven into adidas’ DNA since at least the 1980s, when Run-DMC gave the athletic company major street cred by rocking the trademark adidas sweatsuits and shell-toed Superstar combo — even dedicating a song, “My Adidas,” to the three-stripe life. Since then, adidas has always had music close to its heart. 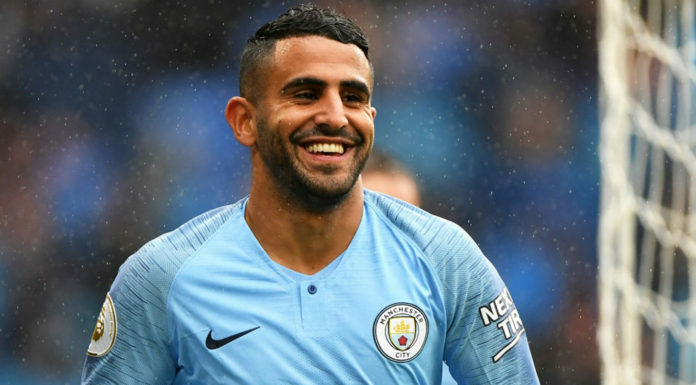 Its latest collaboration comes in the form of a tribute to the beautiful game as it partnered with some of music’s brightest rising stars to treat fans to new videos. 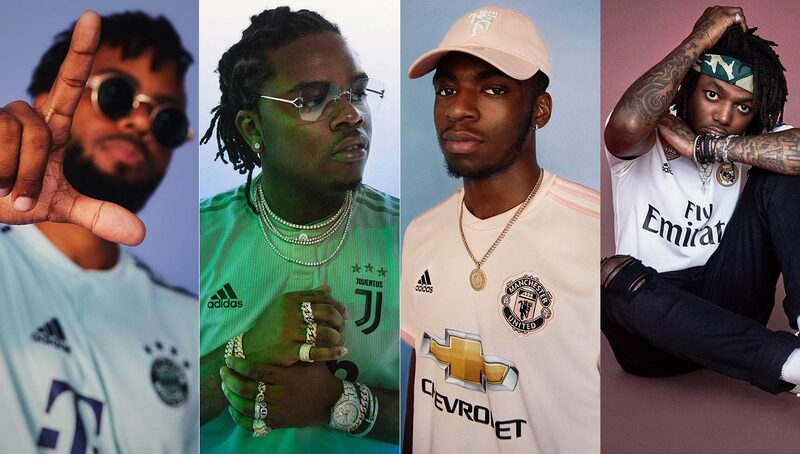 Gunna, J.I.D, Not3s, and Lefa all perform one of their most popular songs while wearing a kit from some of football’s most iconic clubs. Each video is produced with COLORS, the viral video platform that has built its name through authentic performances done against monochromatic backgrounds. Atlanta’s Gunna kicked off the adidas Football series with a rendition of his smooth track “Top Off.” He’s given a cold gray background and to match his clean Juventus kit. Signed to Young Thug’s YSL label, Gunna is making his own lane while playing off the free-spirited nature that his mentor exemplifies so well. Gunna made a big splash when he got Young Thug to hop on his “Oh Okay” song with Lil Baby. Lil Baby and Gunna have now developed a solid friendship and just released their collaborative project, Drip Harder. Another ATL rising star, J.I.D, performs his new “Working Out” track against a rich purple backdrop while showcasing a Real Madrid kit. He’s softspoken, but his gentle demeanor is all the more enticing. J.I.D has made waves in the booming trap mecca with fierce lyricism and a knack for storytelling. 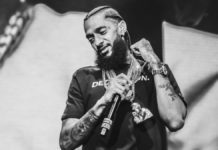 He’s signed to J. Cole’s Dreamville label and released his critically acclaimed The Never Story last year. British sensation Not3s (pronounced “Notes”) is up next as he puts on for the Red Devils rocking Manchester United’s pink away kit. The jersey pays homage to the city’s “Football Pink” newspaper, which was shut down in 2007. He shares a stirring version of his song “Got” with his signature style craftily weaving bars and melodies together, here against a grayish-blue background. Not3s, at only 20 years old, has quite a future ahead of him, especially after the success of his hits “Addison Lee,” “Aladdin,” and “My Lover.” Not only does he represent the newest chapter of the UK rap scene, he also blends his Nigerian heritage into his artistry. Rounding out the series, Lefa gives a rendition of his moody song “Seul.” The Parisian rapper performs in his native French language, and his effortless delivery with the looming production of a piano and synth stirs plenty of emotion. Lefa — a founding member of the French rap group Sexion d’Assaut — wears Bayern Munich’s away jersey, and the pastel color palette goes nicely with the ruddy brown background. 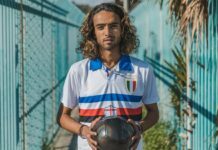 Obviously, all of the featured teams’ kits are sponsored by adidas, but we thought it would have been nice to see Lefa sporting a kit from his ever-fashionable hometeam, PSG. This one however is still a solid fashion statement. Who do you think gave the best performance in the best kit? Sound off in the comments section below.